Beer Nerd Details: 5% ABV bottled (capped and corked). 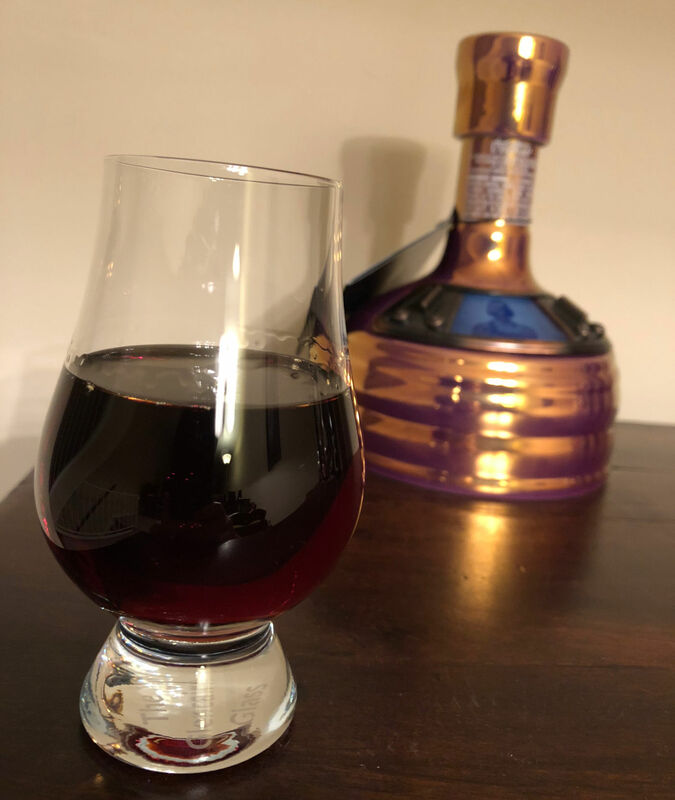 Drank out of a flute glass on 12/7/18. 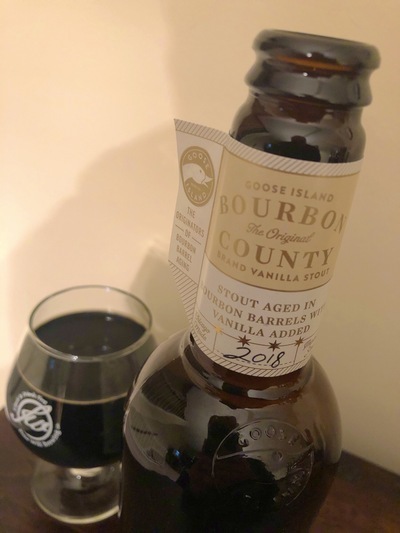 Bottled on: 09/11/18. Batch 2. Beer Nerd Details: 5.5% ABV bottled (capped and corked). Drank out of a flute glass on 12/15/18. 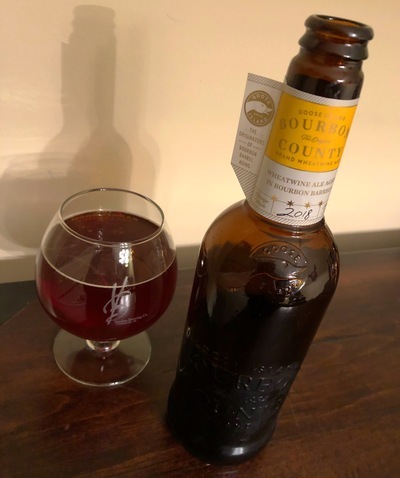 Bottled on: 06/22/18. The Evolution of Novelty - Last year I speculated on the end of novelty, but that's too broadly stated. However, the fact remains that I'm drinking more repeat beers than ever. There are annual releases that I look forward to every year. Sometimes I'll even buy a 4 or 6 pack of something and drink the entire thing! 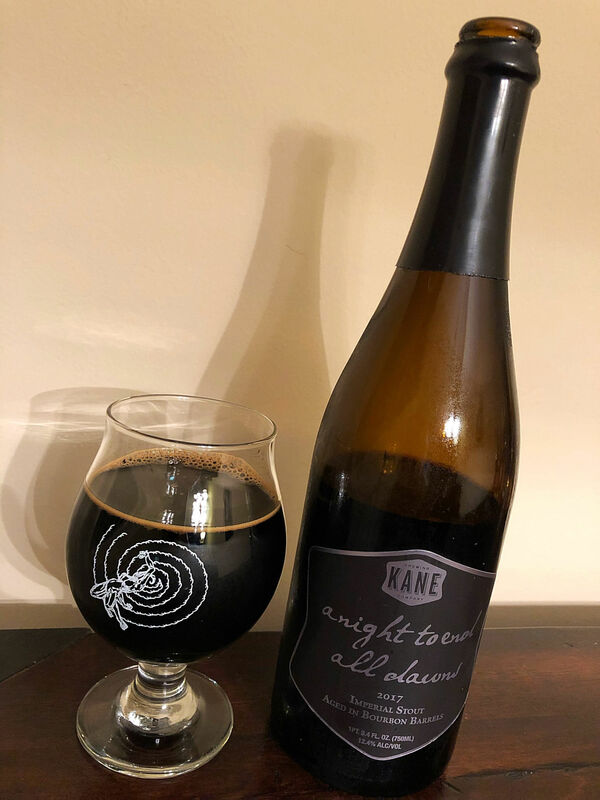 I know that sounds awfully normal to most people, but for years and years, I would just buy single bottles/cans/drafts of as many things as I could and basically never drank the same beer twice. In short, I was a novelty whore, and drinking the same beer twice almost felt like some sort of moral failure. Of course, this is silly, and such feelings have pretty much disappeared in the past few years. This is not to say that I don't still seek out the new and exciting, just that the prospect of drinking multiples of the same beer is now pretty common, especially when it's something I really enjoy. Which, again, sounds dreadfully normal and I'm sure the fact I'm even harping on this at all would be confusing to some people, but this is where I'm at. The Decline of Blogging - This blog has never particularly garnered a huge audience, but I'm assuming that if you are actually reading this, you may have noticed a distinct decline in the posting schedule over the past year. Once again, this is a longer term trend, but it accelerated this year, to the point where I'm only really posting 3-4 times a month on average. Certainly a far cry from the heyday of the blog, when I'd regularly post 3-4 times a week. There are many reasons for this. I've been writing here for over 8 years and while I'm not above a little repetition, it does feel like I should only really be writing about things that really knock me out or that inspire me in some sort of unique way. After writing about 200+ Stouts (and similar numbers of IPAs), the style itself doesn't provide much inspiration, so it's got to come down to brewery info, some sort of story about the name or inspiration behind the beer, or just bald recitations of tasting notes (and you know how exciting that can be). Posting will, of course, continue, if only out of sheer momentum, but I like the more relaxed once a week schedule these days. Or perhaps I should take to writing more freeform stuff or more creative exercises. Time will tell, of course, but I suspect I'll maintain a relatively healthy schedule. Beer Shares - At this point, I regularly participate in 2-3 bottle shares a month, with varying ranges of intensity. 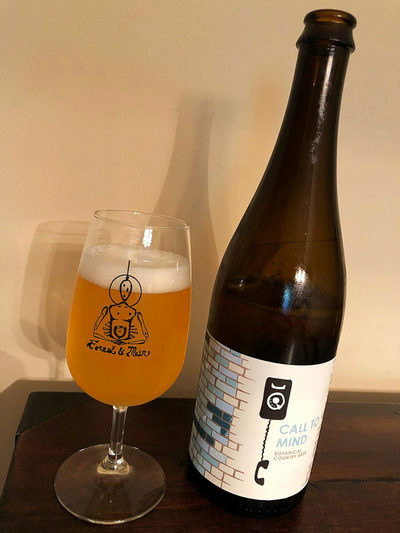 This has lead to new friendships and the opportunity to taste some great beer that I'd otherwise never have a hope to try, and it's a lot of fun. 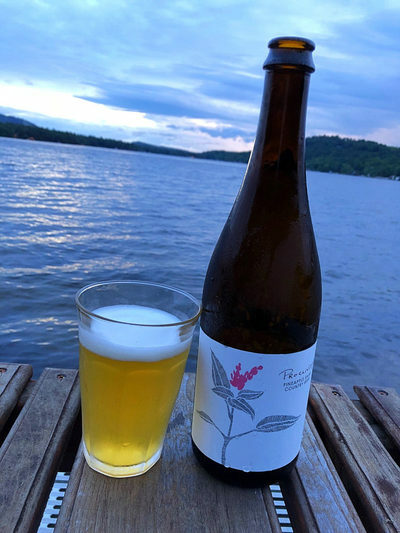 Alas, since these tastings aren't happening in a sensory deprivation chamber with strictly controlled light, temperature, and humidity conditions, they don't usually make for good blogging material (another contributer to the above lack of posting). This has been one of my favorite developments of recent years though, and it's been a really good time. 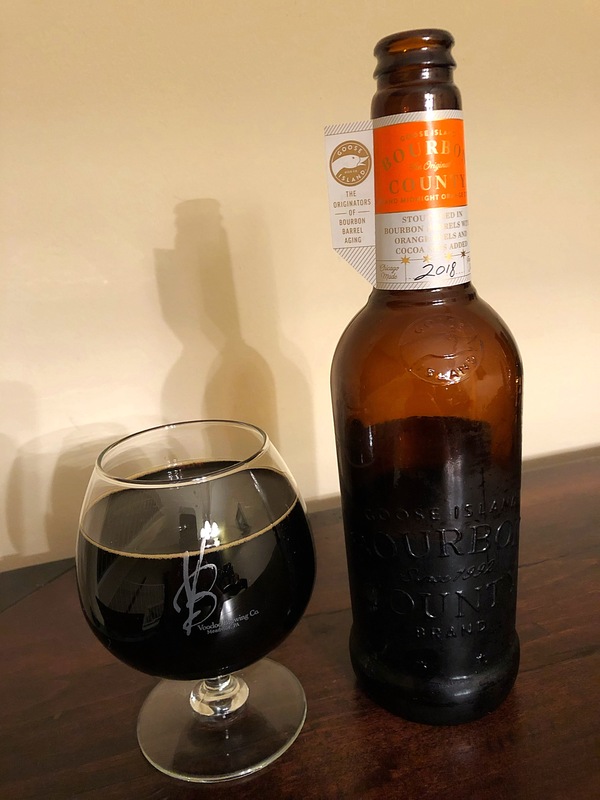 Barleywine is Life - The trend of the year that I didn't realize was happening until I put some lists together below and noticed the prevalence of a style that I've always enjoyed, but which has taken on a bigger role, probably due to DDB's totally bonkers Barleywine is Life Facebook group. 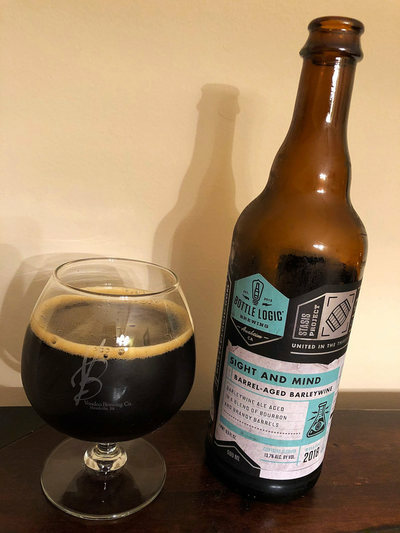 Fully 25% of my top 20 of the year are barleywines (or at least, life-adjacent stuff like B-Bomb), and 40% of the unreviewed hit the mark too (at least one of which will be reviewed in detail, I just haven't gotten to it yet because I'm the worst). It's an impressive showing, and I expect the trend to continue into the new year (already have a couple new bwizzle bangers in the pipeline). Homebrewing Limbo - I'm at a place right now where I'm home brewing once a year. I enjoy the process and it's been a really great way to learn about what really makes beer tick, but I haven't make much time for it in recent years. I was planning on doing something when I took a vacation across the holidays, but then I came down with the flu and that kinda killed any motivation I had. I really do want to do that Scotch ale I've been threatening to make for a few years now, so who knows? Maybe I'll ramp it up this winter. 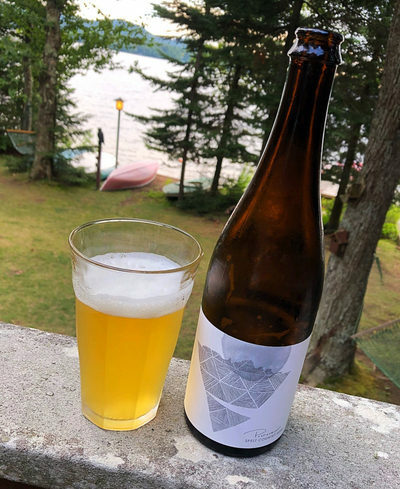 Aging Beer - My first few rounds of experiments with aging beer have already come to fruition, and this year was something of a rebuilding year, with more of a focus on getting Lambic in the cellar to age. I suspect some of that aging will come to fruition in the next few years, but in general, aging beer is fun, but highly variable and not strictly necessary. Mostly beers do change, sometimes dramatically, but aren't necessarily much better than they were fresh (and sometimes they're far worse). As per usual, my eyes are bigger than my liver, so some aging happens just by default as I buy more beer than I could ever drink (or even share). The cellar is getting a tad bit unwieldy though, so this year might see a more significant "drink down" of older beers with a bit of a purchasing freeze. Regardless, it will be a fun year. 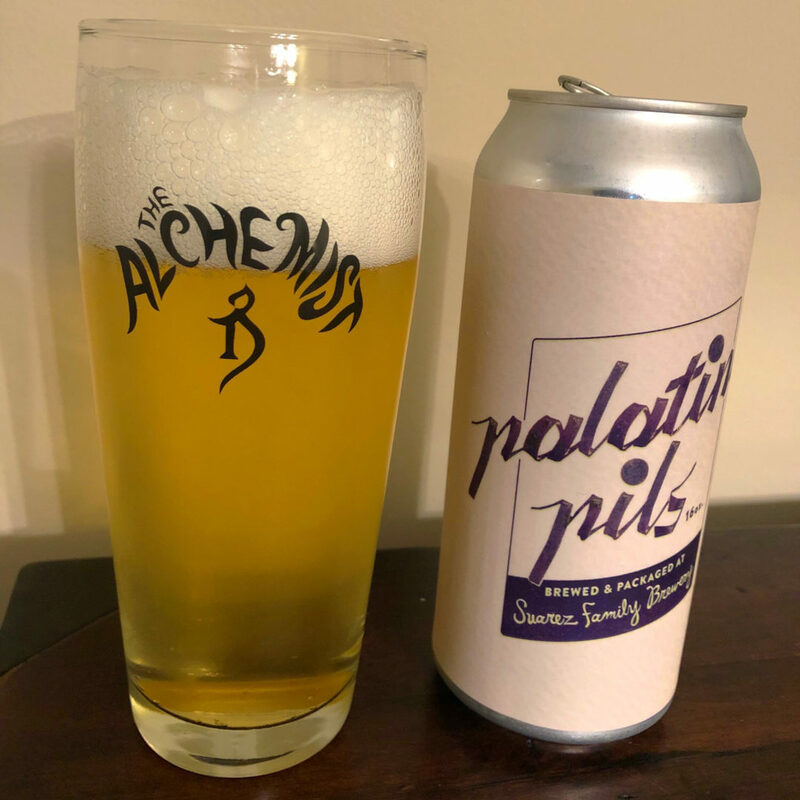 Taking a Break - I continued my Lenten tradition of (er, mostly) giving up beer for a while this year, and I think the practice is a solid one that does me (and my waistline) a lot of good, so I expect that to continue. Indeed, I could see my overall consumption reducing throughout the year as well. This dovetails nicely with the whole evolution of novelty thing mentioned above, as one of the things that drove drinking to higher levels was the all-consuming need to explore the new and exciting beers I'd acquired (or which were on tap locally, etc...) I've also gotten better at not forcing myself to power through too much of a beer that I don't like. 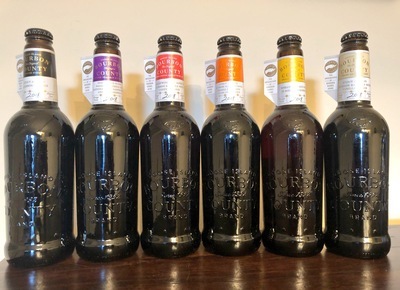 This goes against my general desire for efficiency and frugality (I mean, I spend a lot more than most on beer, but since I do so, I generally feel obligated to get my money's worth), but there's no need to torture myself. You will be seeing a full review of this Bottle Logic barleywine soon enough, so stay tuned. In other news, the new year in beer looks as promising as ever, so let's get back to the hard, hard work of drinking beer, shall we? 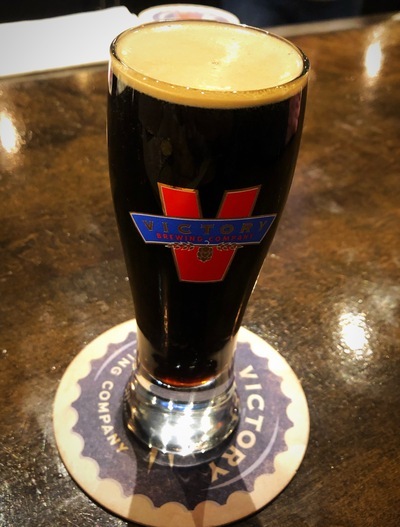 Back in the early days of craft beer (we're talking circa 1990 here), small brewers were gaining traction and thus started to test the boundaries of beer. The next couple of decades would lend itself to hops arms races and, more relevant to this post, the competition for most alcoholic beer evar. Believe it or not, one of the opening salvos of this boozy race was Sam Adams' Triple Bock, released in 1994. After playing around with yeast, adjuncts like maple syrup, aging in old spirits barrels, and other manipulations of the fermentation environment, Sam Adams was able to coax a 17.5% ABV beer out of the ether. Ratings for the few releases of this beer are a bit of a mixed bag, with lots of people calling it one of the worst beers of all time due to the way early attempts at high alcohol brewing produced dead yeast cells that lent a distinct "soy sauce"-like flavor to the beer, especially as it ages (and a lot of the reviews you'll find are of long aged bottles that may or may not have been properly stored). Indeed, this is one of the few beers that users of BeerAdvocate would actually write about beyond the standard AATMD tasting notes, with some users waxing poetic about a "beer [that] has been described as with a flavor of 'soy sauce left out in the sun' a texture akin to 'manatee feces' and an aroma simply described as 'do not smell this.'" Fast forward a few years, and the fine brewers at Sam Adams had gotten much better at coaxing high ABV out of beer without generating the fabled off-flavors that plagued their earlier versions. In 2002, the first release of Utopias happened. Packaged in a swanky copper glazed porcelain bottle made to resemble a copper brew kettle and sporting a $150 price tag, it clocked in at a then-record 24% ABV. 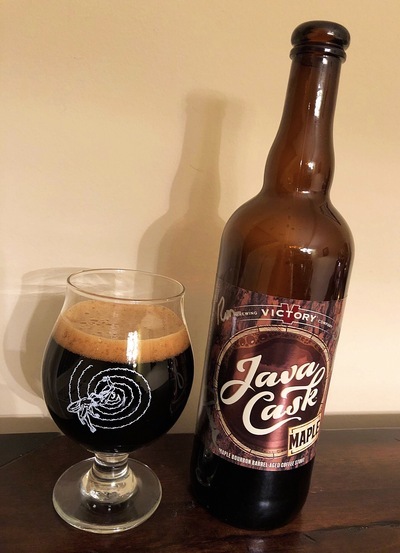 Later iterations would top 30%, but the title for highest ABV quickly moved elsewhere, especially as some brewers (notably the Scottish upstarts at Brewdog) started doing ice-distilling to really crank the ABV up into the 40%-60% range. 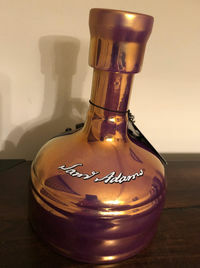 After Utopias, though, Sam Adams thought they'd focus more on flavor rather than just high numbers. 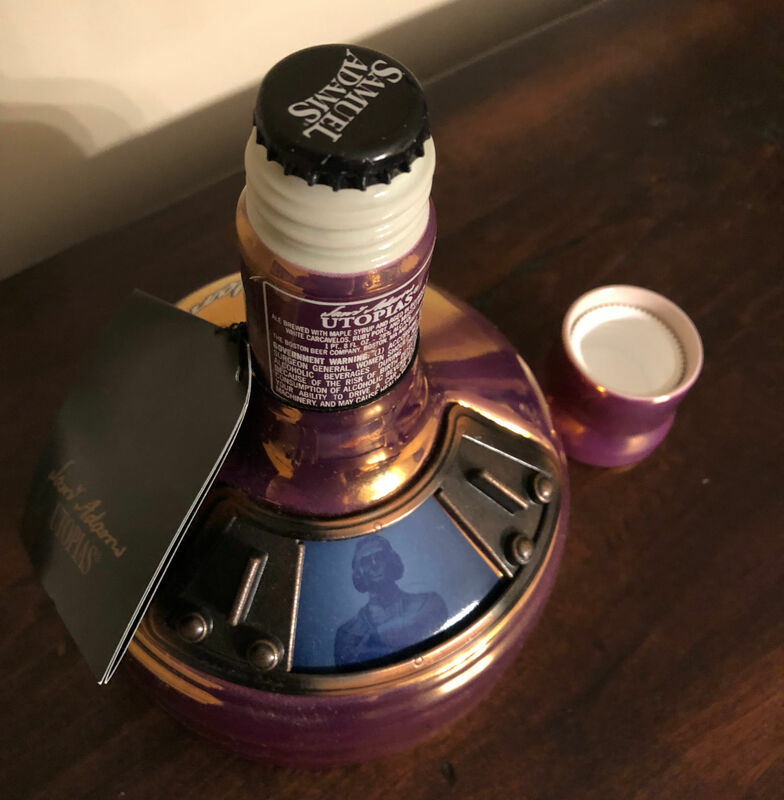 Interestingly, each iteration of Utopias apparently has a tiny, solera-like portion of the original Triple Bock included (by now, I'm sure that proportion is miniscule). For a "beer" like this, categorization is a bit tricky. 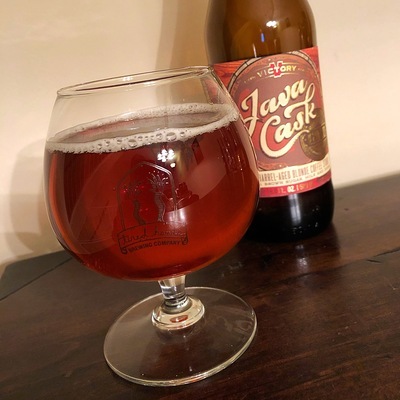 Some have called it a Barleywine, and it does share a certain kinship with that hallowed style (#BiL), but others have simply used the generic American Strong Ale, a catchall designation if ever there was one. None of which really describes what you're about to drink though. The closest thing I can think of is another beer we recently covered here, the experimental Italian barleywine Xyauyù. 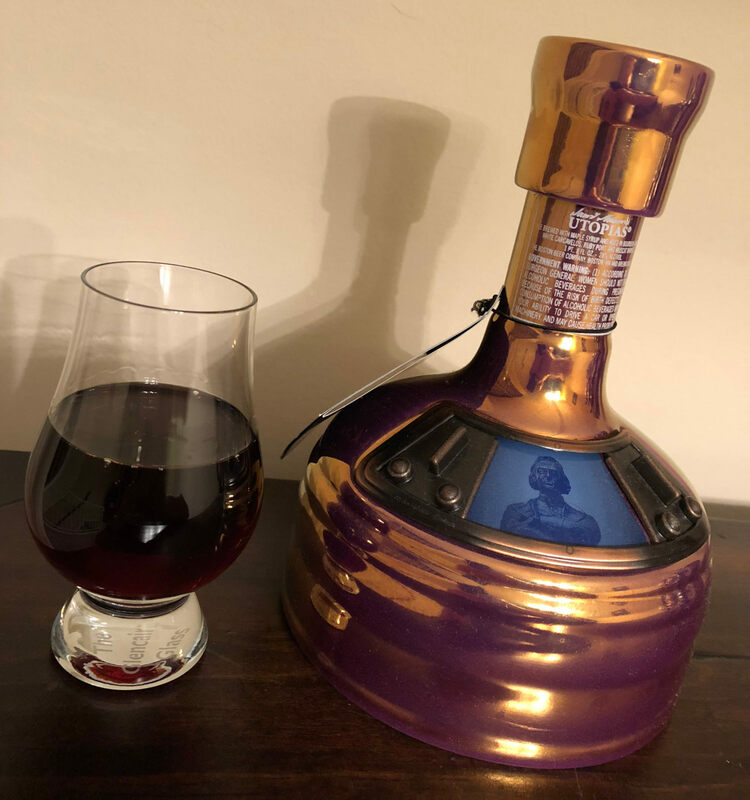 This is perhaps more due to the completely still nature of the liquid and general flavor family though, as Utopias is pretty clearly doing its own, unique thing. 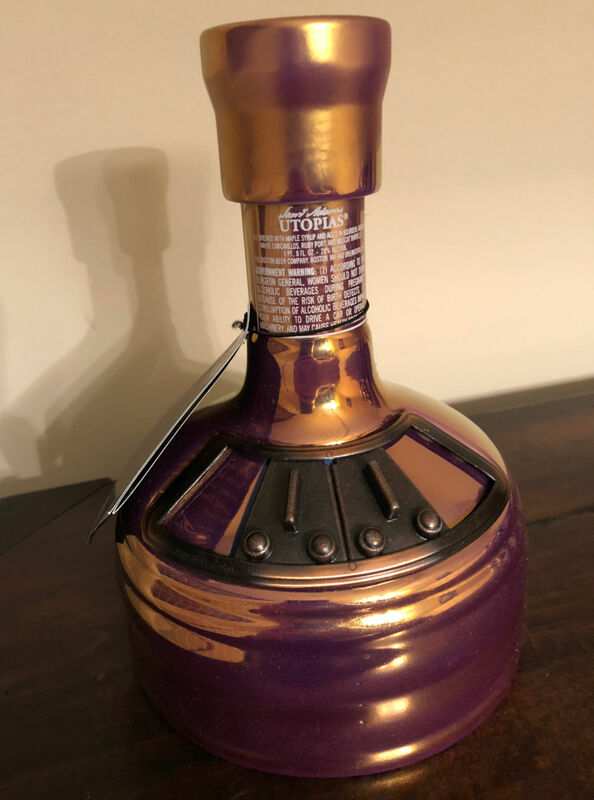 I received the 2017 vintage of Utopias as a (particularly generous!) Christmas gift from my parents last year, and, well, when does one crack open a 28% ABV beer? Most of the year passed until I reached by birthday and thought that would have to be good enough to crack open the bottle (it comes with a standard Sam Adams beer cap (see pic above), but there's also a screw top to seal it after you open it - and it's lasted pretty well after my initial taste too, so it's not like you have to drink the whole bottle at once.) It certainly carries a hefty price tag (even when compared to some of the other, more ridiculous alcohol purchases you could make in wine or whisk(e)y) and it's not something I could see myself pursuing regularly, but it might be worth splitting the purchase with a bunch of other folks just for the experience. 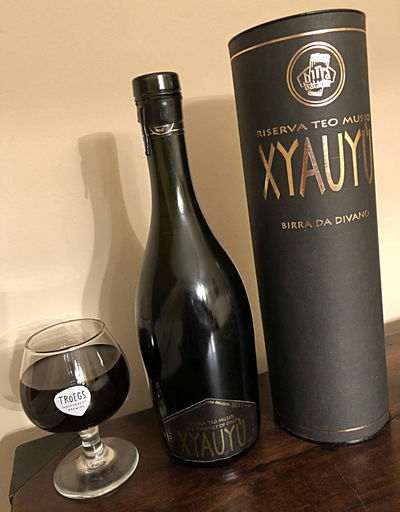 Beer Nerd Details: 28% ABV bottled (500 ml porcelain). Drank out of a Glencairn glass on 9/14/17. Vintage: 2017. Bottle #: 14515. 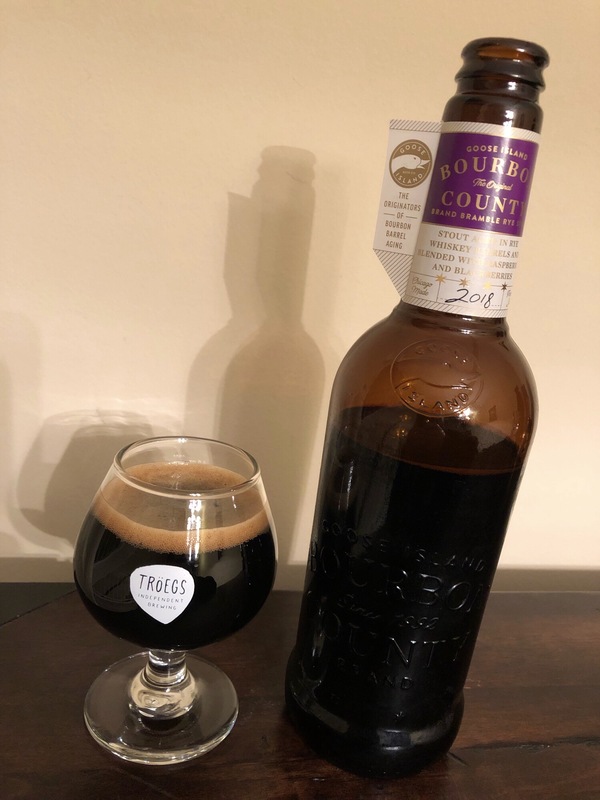 Again, at two bills and such a high ABV, it's not exactly an every day beer, but it's a singular and unique experience that should appeal to any beer fan (at least, one that also appreciates big barrel aged beers and whisky, etc...). And yes, I'm way behind on some of my reviews. I shall endeavor to have them all sewn up by the end of the year. 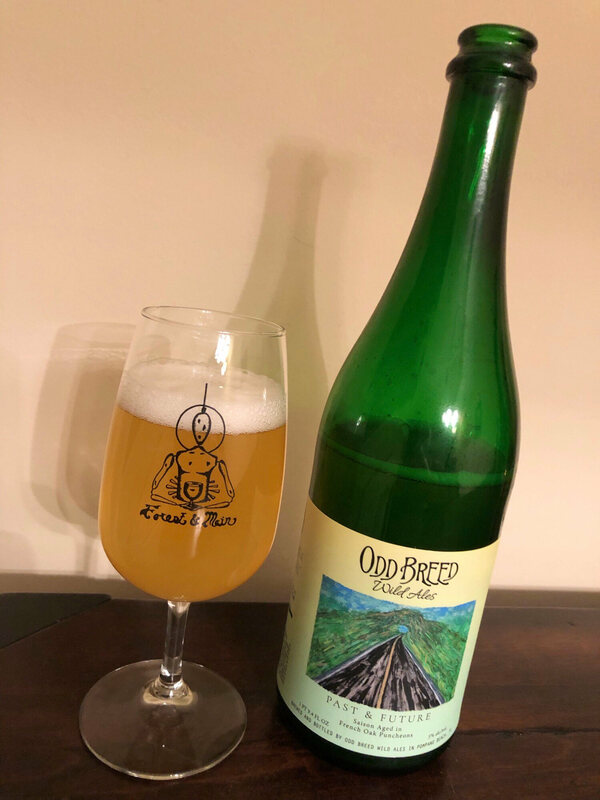 Zwanze Day is a worldwide event in which Cantillon releases a new, limited lambic to the huddled masses, yearning to be drunk. The event spans many countries and is limited to 70 or so bars, worldwide. 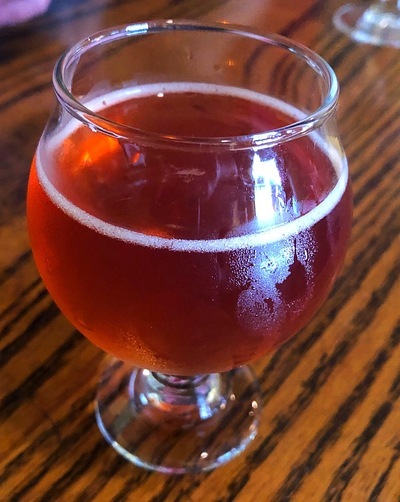 I attended the 2016 festivities at Monk's Cafe in Philly and was dutifully impressed with that year's Raspberry/Blueberry entry into the Zwanze canon. It's always a crowded event and some people get there very early and wait in line. If it means getting a table, that's a very good thing indeed and fortunately for me, I had some friends who decided to line up early and had an extra seat at their table. A few of these were even new to me, which is always nice. Nath is made with macerated rhubarb in 2 year old lambic, and it provides a nice little bump in the tartness and funk profile of your typical Cantillon (I didn't take formal tasting notes, so I'll leave it at that - it was excellent). The other new to me lambic was 20 Ans D'Amitié, a blend of Rhubarb and Raspberry lambics (so Nath and Rosé de Gambrinus?) that was produced for the 20th Anniversary of Monk's Cafe in 2017. As you might expect, it's delightful. And of course, there were a whole slew of other Cantillons that we all know are fantastic, like the Kriek (still my favorite, to be honest! ), Rosé de Gambrinus, Grand Cru Broucsella, the Classic Gueuze, and Vigneronne. Finally, there was Zwanze 2018 Manneken Pise. 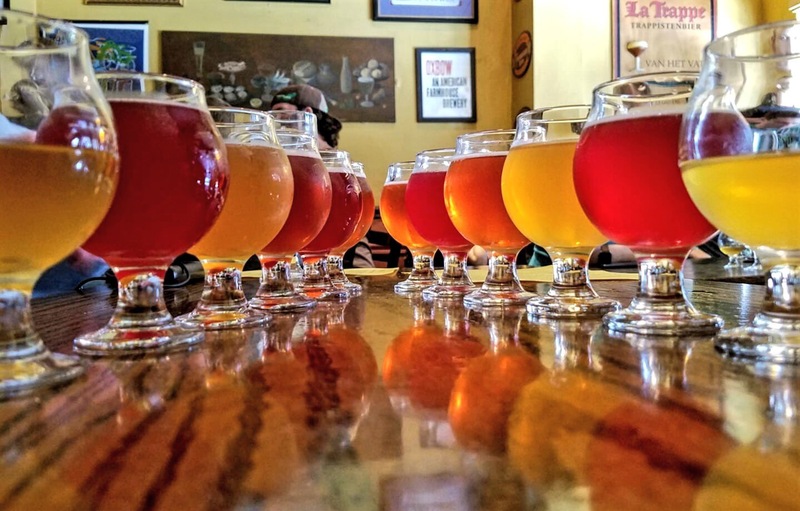 If you're interested in lambic, you've no doubt discovered that it's damn near impossible to track down Cantillon lambic. Even ordering direct from Belgium (with it's absurd shipping prices) isn't a particularly viable option anymore. Back in 2015, Cantillion acquired a new building across the street from their current location. 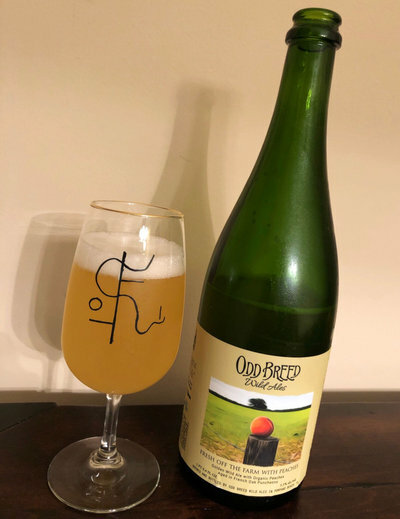 Over the next few years, they increased production and had to source a whole slew of new barrels to age their lambic. Enter three particular sets of barrels that stood out: those that had previously held Sangiovese, Amarone, and Chianti. Ah, the wine of my people! Anyway, Zwanze 2018 is a blend of lambic that had been aged in those three types of barrels. And it's quite nice, adding a noticeable but distinct vinous character to the typically oaky, tart, and funky Cantillon lambic base. 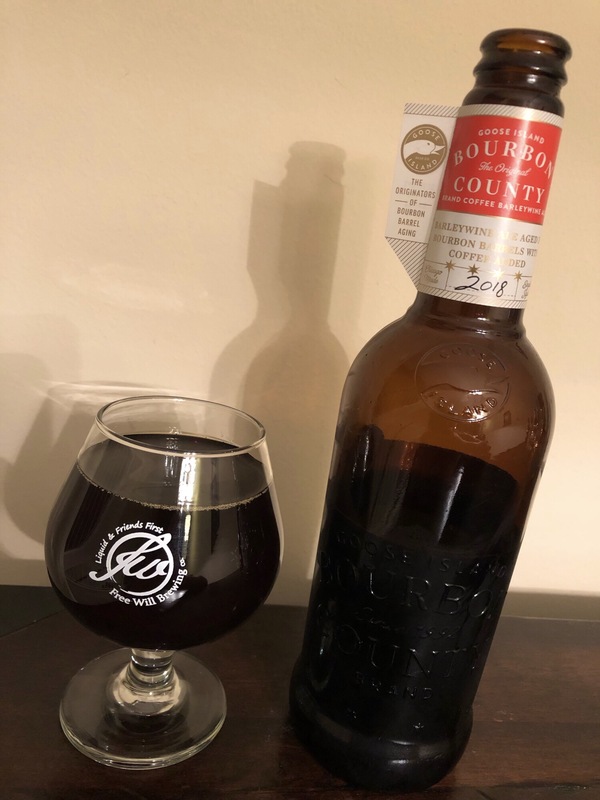 Some subtle fruit notes and a nice, light, tannic dryness make this a somewhat unique experience. 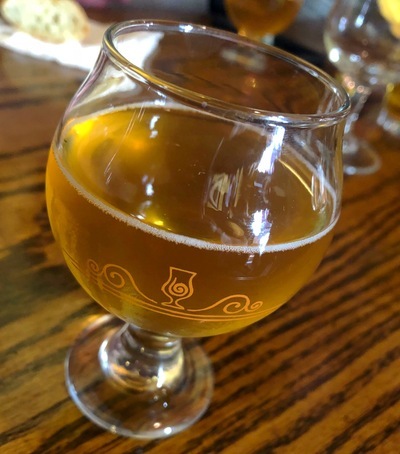 Again, I didn't take formal tasting notes, but they're normally pretty boring and ultimately, yeah, it's a big shock that Cantillon produced a good lambic. Stop the presses. So yes, another successful Zwanze day under my belt. Well worth checking out if you have a Zwanze venue near you. I'd be curious to see what it would be like at a less crowded venue, but it's hard to turn down an afternoon at Monk's (and if you somehow manage to snag a table, many of the issues with the crowd are minimized!) Anywho, now that Cantillion has increased capacity, here's to hoping we see a little more of their stuff making its way into our hands... And maybe I won't wait a month to post something about it next time.